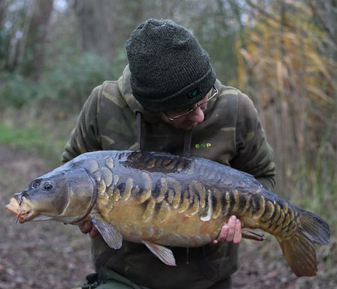 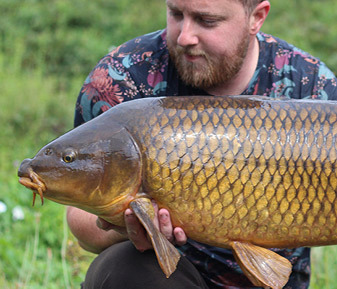 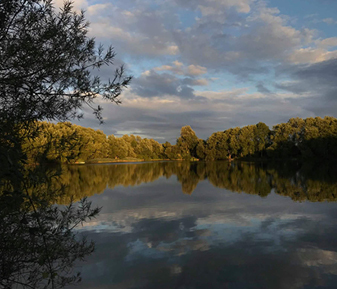 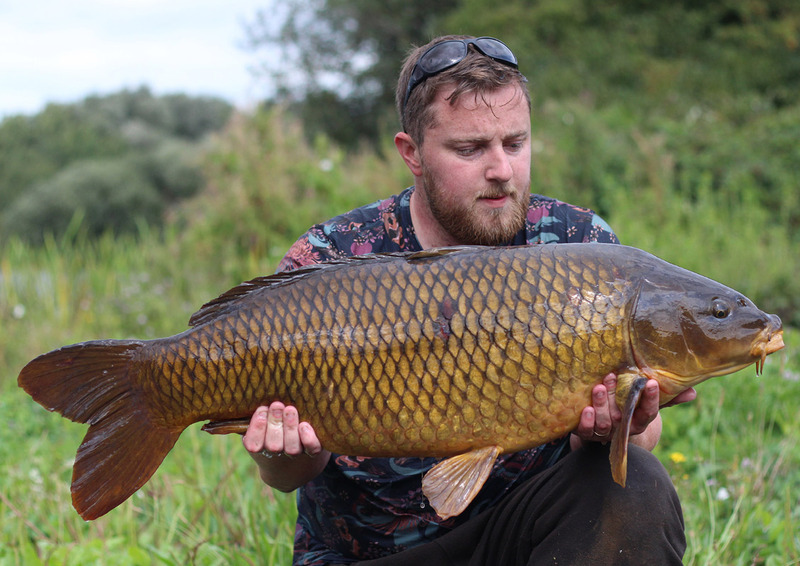 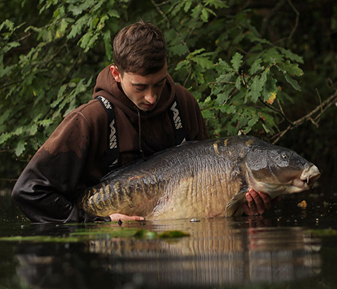 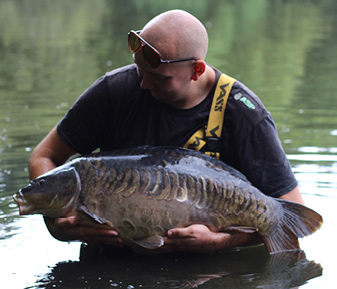 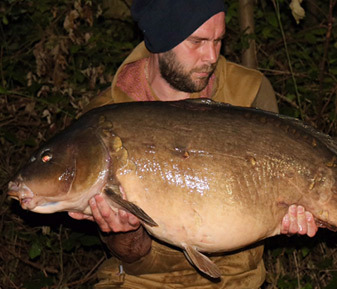 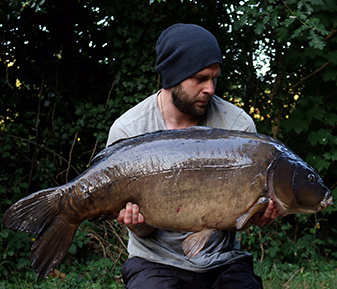 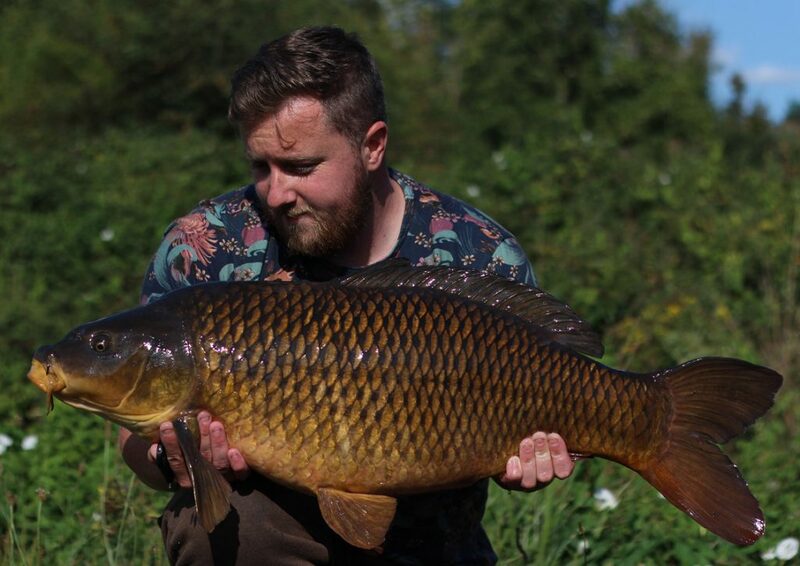 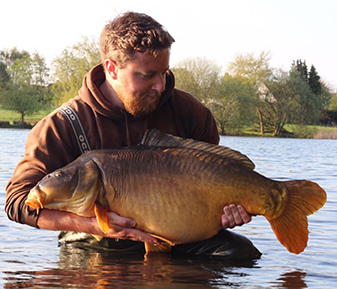 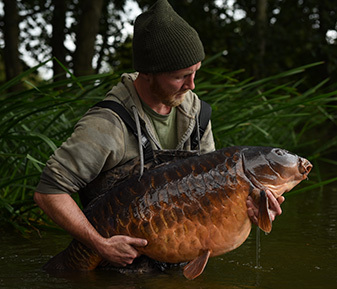 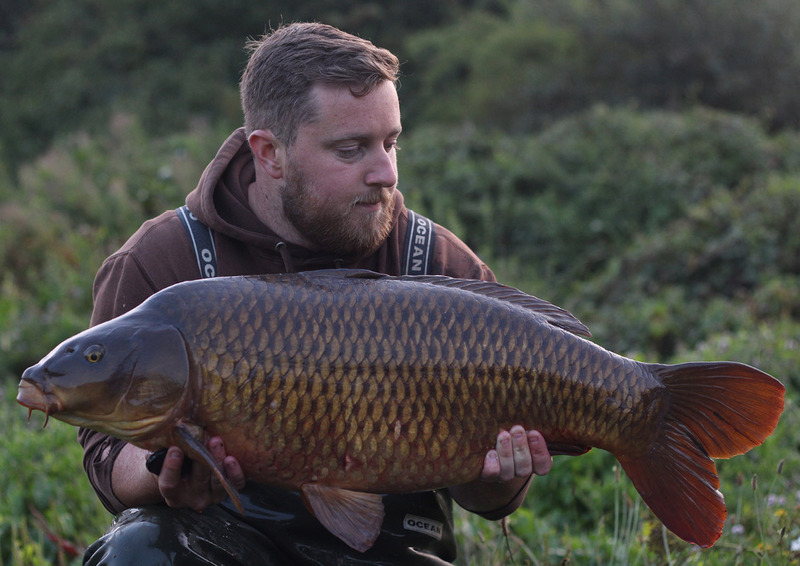 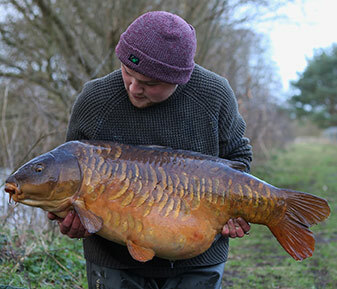 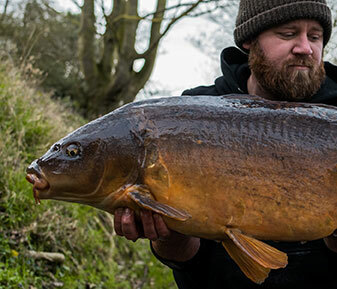 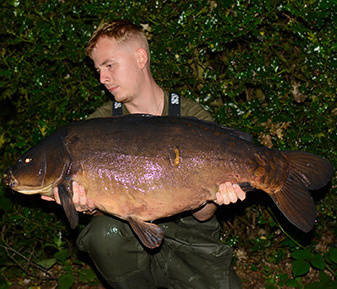 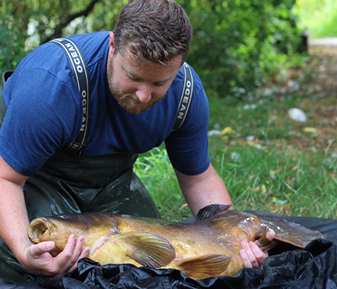 Luke Wallace has been back to his syndicate water and as the weather cooled toward the end of August and the weekend coincided with a full moon, the fish got their heads down and Luke made the most of the long Bank Holiday weekend. 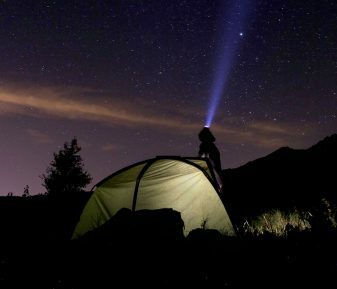 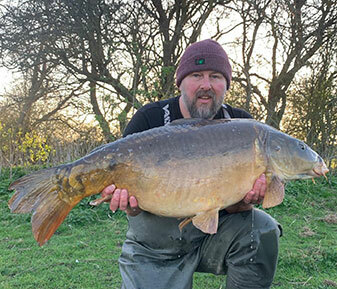 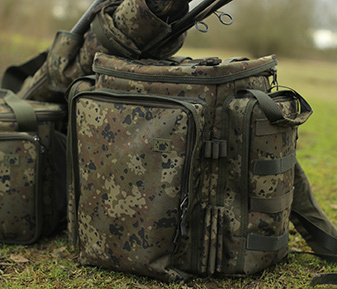 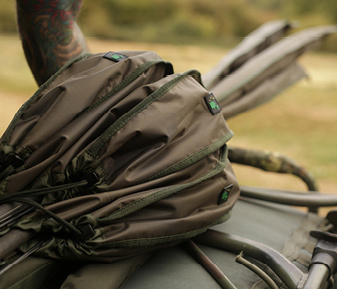 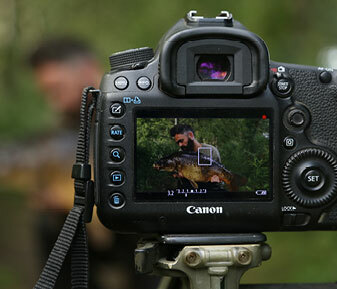 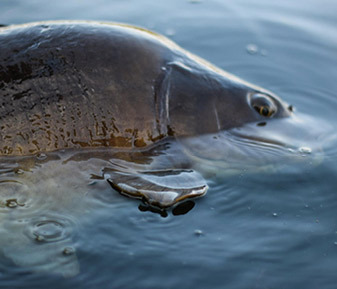 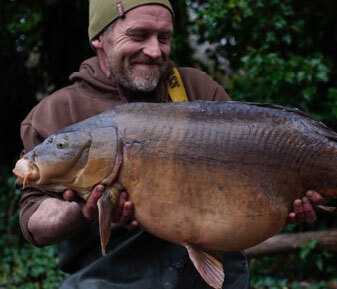 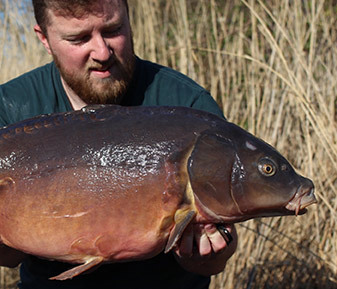 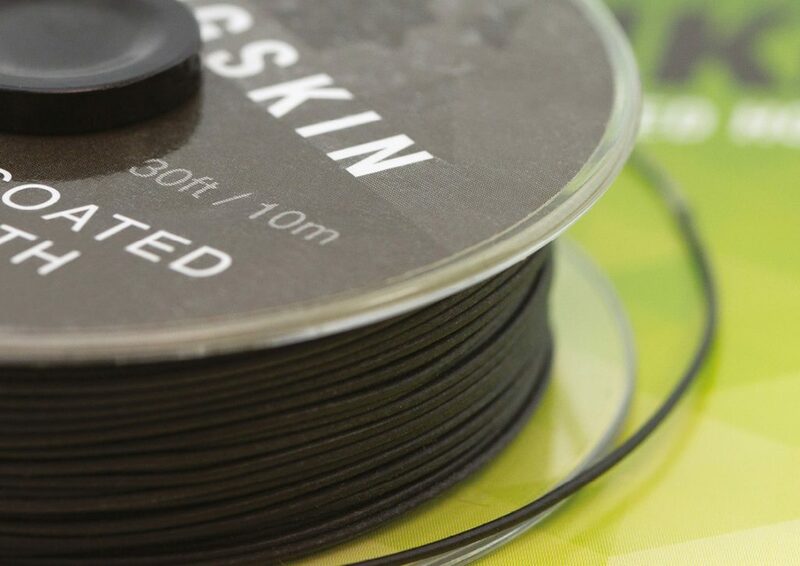 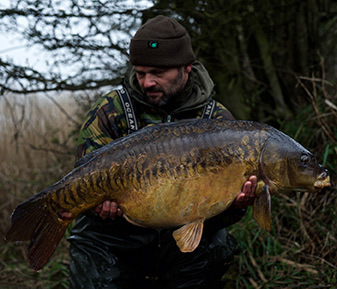 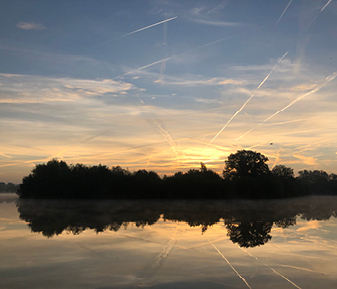 ‘I turned up at first light on the Friday morning at my Mid-Kent fisheries syndicate ready for the big build up to the full moon. 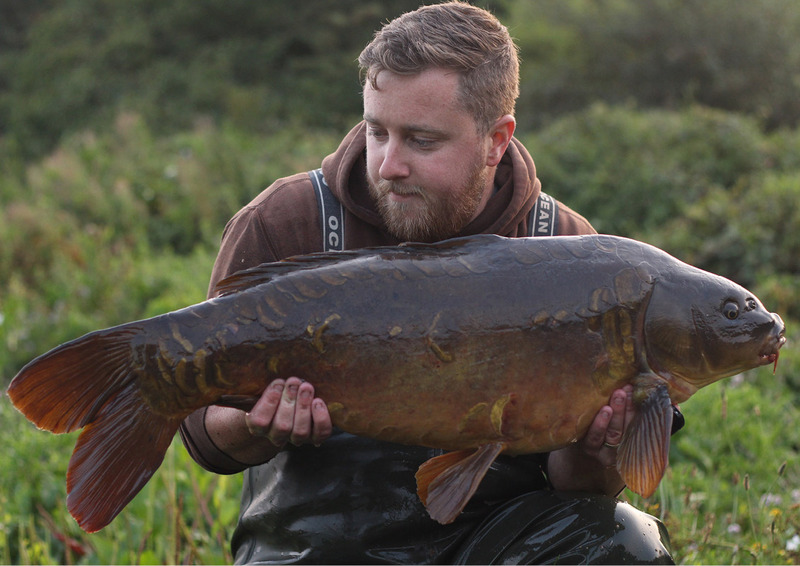 It didn’t take long for me to settle on a swim as it was evident the fish were moving up and down the middle of the lake. 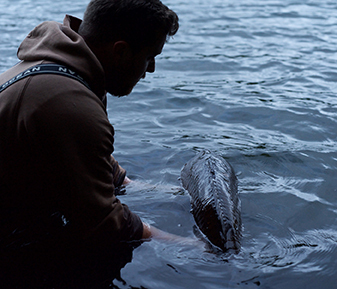 The swim I chose had a bar out on the line the fish where showing, although the fish where showing 20 yards behind the area, I knew they would visit the area of the bar at some point. 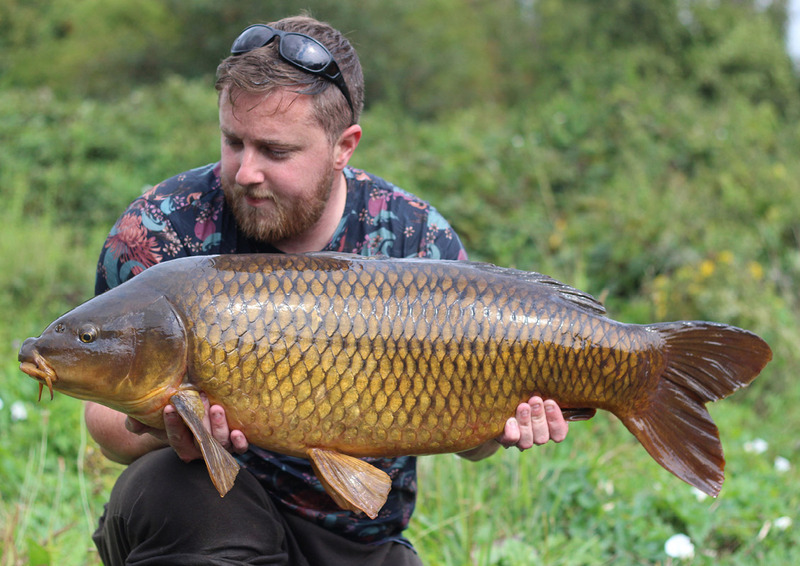 I settled to fish a spot just beside this bar in 5/6 ft of water on a nice clean, sandy spot with a hint of light gravel. 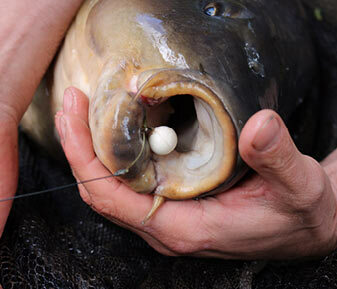 I opted to put two buckets of bait straight on the spot and fish two rods tight on the zone. 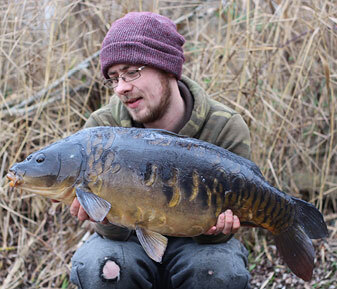 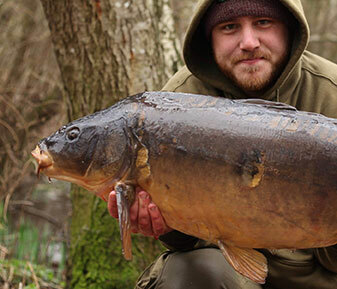 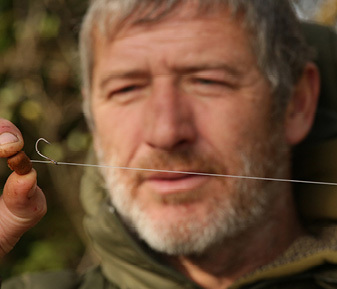 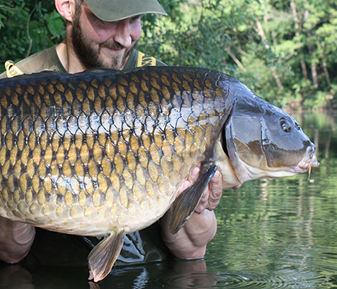 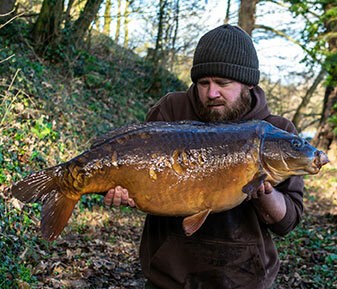 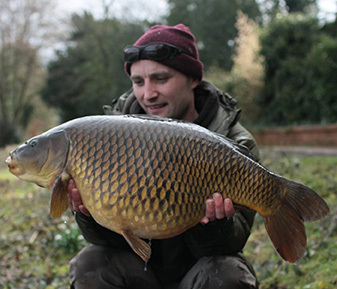 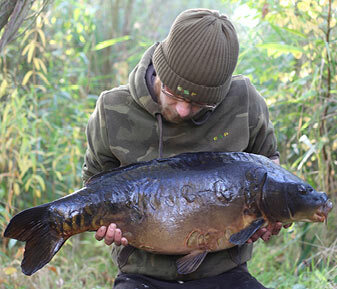 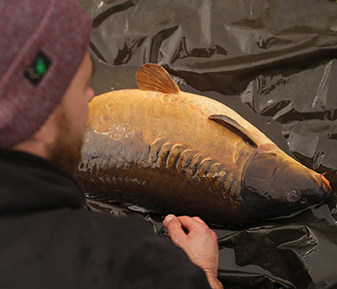 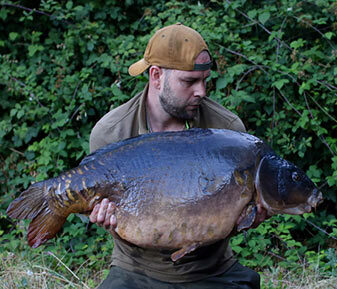 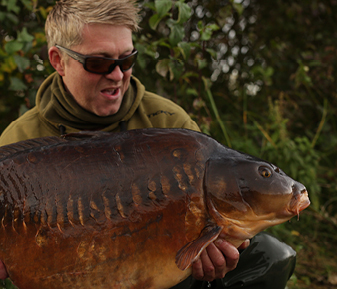 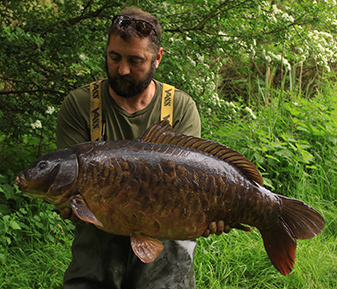 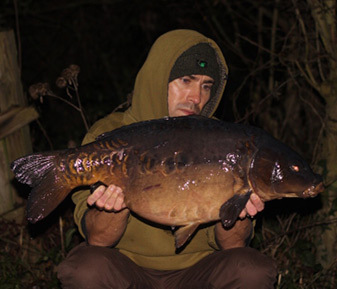 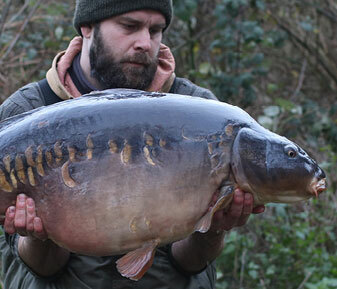 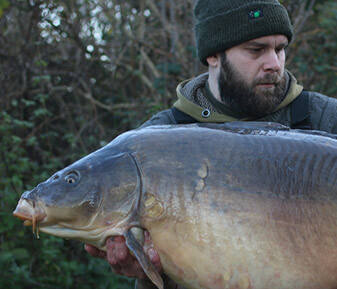 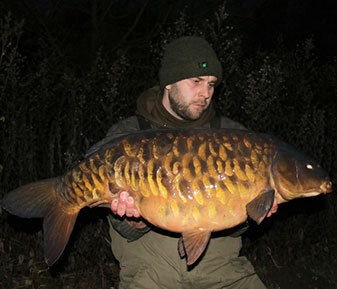 My bait consisted of 12mm and 16mm Sticky Krill, soaked for a week in pure krill liquid and pure tuna liquid. 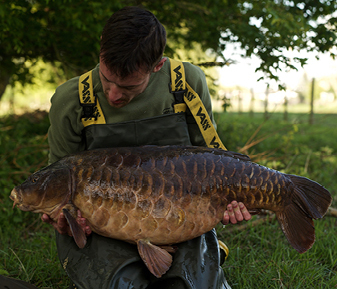 I mixed this with 6mm krill pellet and corn for some smaller food items. 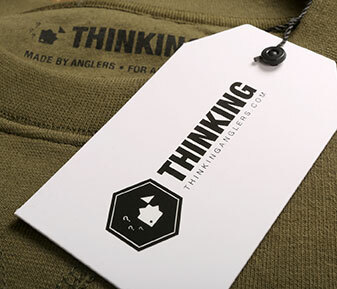 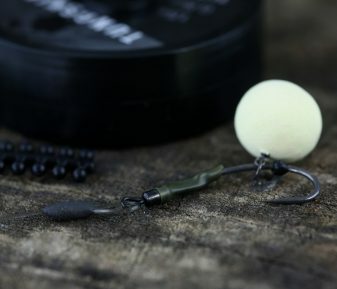 Rigs and hook baits where two low pop-up rigs, 12mm Buchu-berry pop-ups on links tied with 35lb TA Tungskin hook-link and TA hook-ring swivels.